Thanks for the referral professor. Just subscribed to that podcast on iTunes and look forward to hearing your interview (downloading as I type this) as well as the others. One good turn deserves another: please check out (University of Toronto Psychology)Professor Jordan Peterson's lectures on The Nature of Evil and the Necessity of Virtue. Available on iTunes through TVO's Big Ideas. Great stuff. Best, TAM. Here is William Lane Craig's admission: "Should a conflict arise between the witness of the Holy Spirit to the fundamental truth of the Christian faith and beliefs based on argument and evidence, then it is the former which must take precedence over the latter, not vice versa". [Reasonable Faith: Christian Truth and Apologetics, (Revised edition, Wheaton, IL: Crossway, 1994), p. 36.] This is a staggering statement – a true show stopper. It is literally no different than me saying: “I know there are fairies in my garden and nothing you can say or show me will ever change my mind”. Craig's statement is intellectually vacuous and why I would not so much as let him clean my basement. That being said, the statement is consistent with Craig’s frequent assertion that he is a Christian first and philosopher second. In effect, what this means is that he's completely left the rationality playing field. Any attempts to argue or reason with you are made in bad faith, as it were. 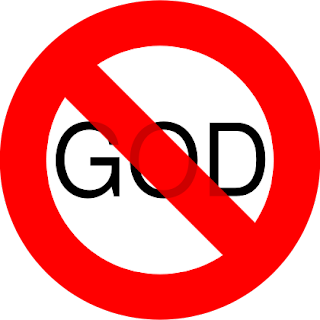 Imagine an atheist saying, "I have the self-authenticating witness of the vast nothingness in my heart that assures me beyond any question of evidence or reasoning that there is no God, and I will find a way to make all evidence conform to that knowledge, or I will flatly reject it." Insanity. FACT: all of U.S. will croak someday sometime somewhere and FACT: our souls are also indelible, meaning they never die, they’re eternal. I believe Almighty God made U.S. that way precisely because God loves U.S. and God wants us to enjoy the splendors of Heaven to never croak; but, yet, there’s also two choices of whether we wanna follow the whorizontal deceit, the relativism of this zoological psychosis of the Devilish world which turns U.S. away or follow God. One other choice to think about: how lengthy is this finite existence VS. the utter vastness of the universe which we may take part in? That’s free will. Make your choice -Saw I know where I’m going. We don’t live forever, ya know; we’re sinfull mortals. God bless you.